RETROAZIONE is a Superbudda multimedia project. An immersive place where image and sound interact with the public, bringing it into a visionary and engaging context, animated by the videos provided by the participants of the installation through their own electronic devices. 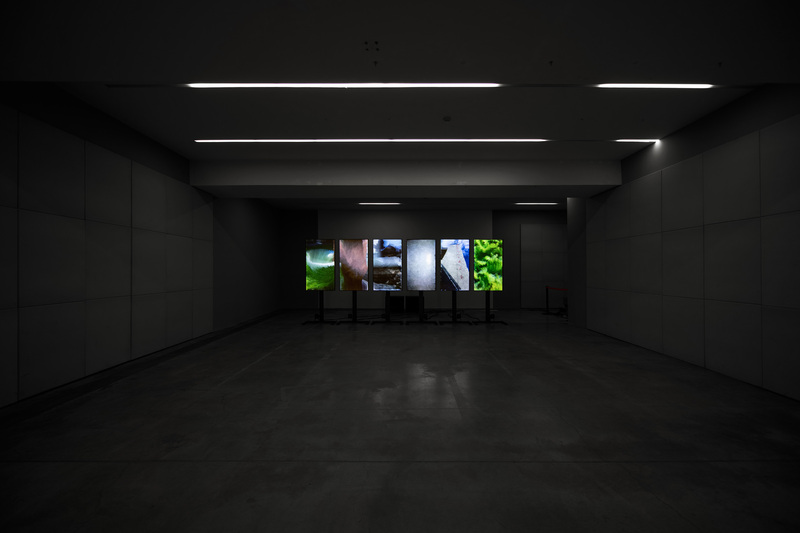 The audio-video materials are collected in real time on the portal www.retroazione.xyz and transformed by a digital process of “liquefaction” that generates the mixing of the contents according to an algorithm based on the laws that regulate the behavior of fluids. This process is controlled by a musical score that guides the composition. The musical score is the result of an artistic collaboration between musicians, conceived as an open and variable system that supports the regenerative nature of the project.